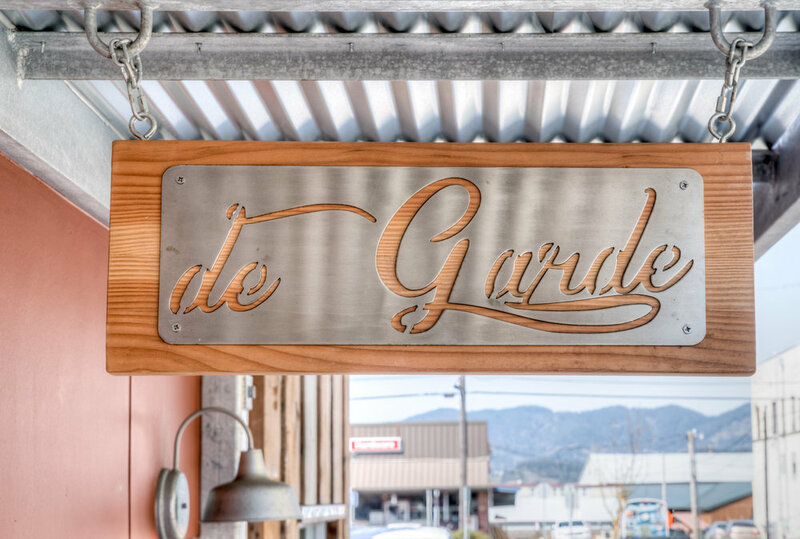 deGarde Brewing — Brittell Architecture, Inc.
After searching throughout Oregon, deGarde Brewing settled on Tillamook as their base of operations due to the particular ecology of the local yeasts. 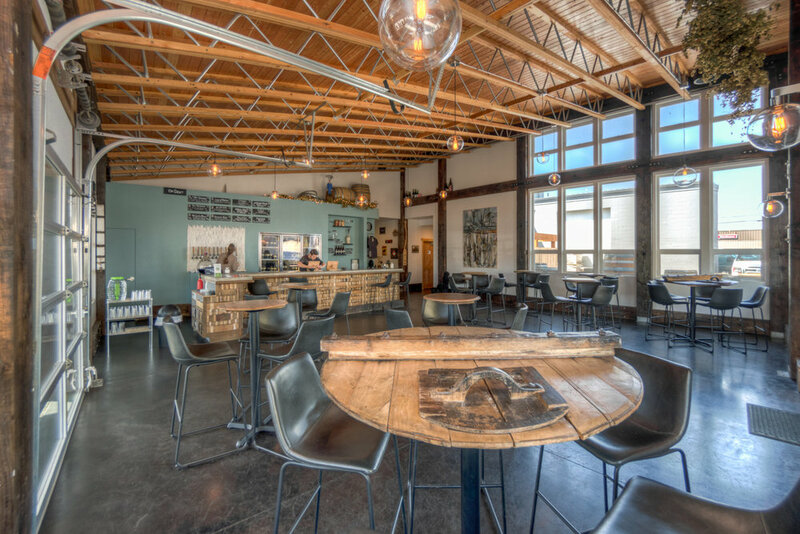 Therefore, when it came time to build a brewery and tasting room, it seemed an obvious choice to adaptively re-use an existing building, to capture more of the local yeasts in their beermaking process. The existing reinforced concrete structure, built in the 1940s, required extensive structural upgrades to provide adequate seismic resistance and support a second floor barrel warehouse. Existing long-span timber trusses had failed, but the client valued the wood they contained for its biological qualities, so brace trusses were engineered to support them in place and straighten the roof. Working closely with the brewmaster, we designed all new sanitary plumbing, floor drains, overhead power drops, and hose reels to complement the stainless brewhouse infrastructure, making it a model of brewing quality and efficiency. In the tasting room, a minimalist aesthetic prevails, highlighting massive wooden timbers recovered from a decommissioned bridge. 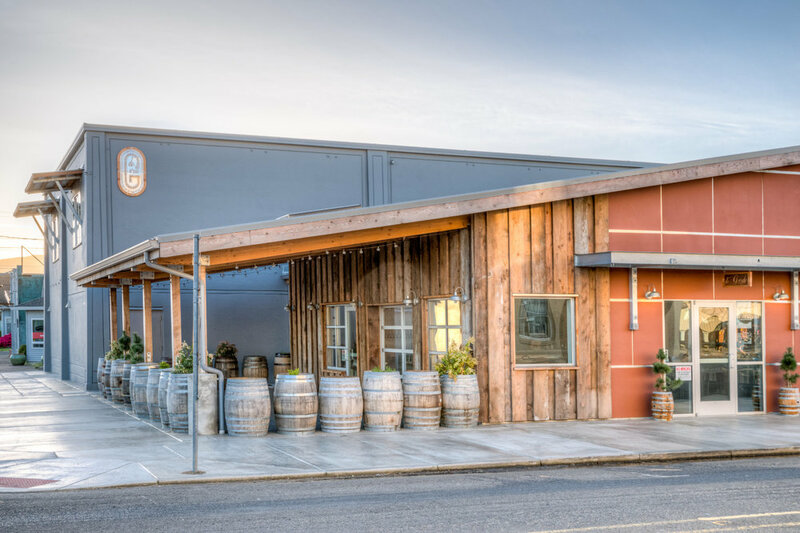 Heated concrete floors provide energy-efficient warmth for visitors, and an outdoor drinking area with overhead radiant heat allows occupants to experience the streetscape of Tillamook while remaining protected from the weather.